He was born a Canadian on a Friday the thirteenth in 1929—the year of the Crash. His boyhood was one of privilege: an ancestor was a Governor General; his great-grandfather Sir John Abbott was Canada’s third prime minister and owned railroads. There were steam yachts, mansions, and a life of Victorian gentility and somewhat cluttered splendor. We see his glorious New York of the fifties, where life began at midnight, with the likes of Arthur Miller, Carson McCullers, Tennessee Williams, and Paddy Chayefsky, and how Plummer’s own Broadway world developed and swept him along through the last Golden Age the American Theatre would ever remember . . . how the sublime Ruth Chatterton (“she might have been created by F. Scott Fitzgerald and Sinclair Lewis”) introduced him to the right people in New York . 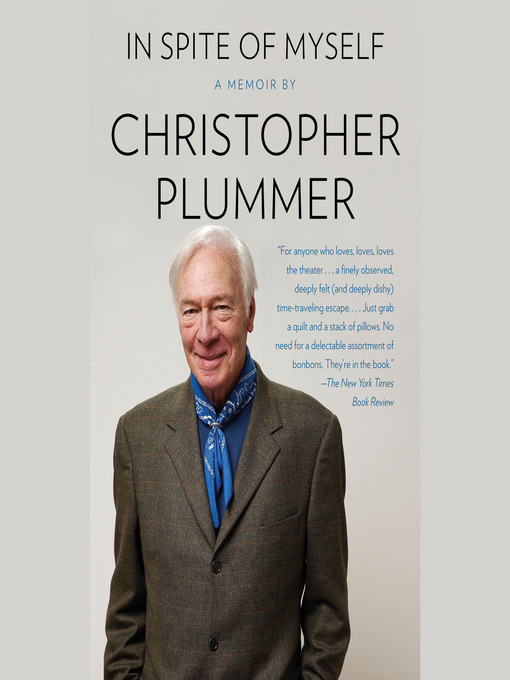 . . how Miss Eva Le Gallienne gave Plummer his Broadway debut at twenty-five in The Starcross Story (“It opened and closed in one night! One solitary night! But what a night!”). He writes about Miss Katherine Cornell (the last stage star to travel by private train), who, with her husband, Guthrie McClintic, added to what experience Plummer had the necessary gloss, spit, and polish to take him to the next level. Guthrie bundled Plummer off to Paris for a production of Medea, opposite Dame Judith Anderson (“a little Tasmanian devil . . . who with one look could turn an audience to stone”).